It doesn’t look like Easter. It doesn’t feel like Easter. It’s gray, rainy, and 40 degrees, and I'm crabby about it. I just got back from a Florida vacation where it was sunny and in the 80’s all the time and my daughter gave me a cold down there. So, yes, I’m more than a little crabby, not to mention un-ambitious, and in no mood to cook up a festive, spring meal. When it gets to really be rug-cutting time, I know I’ll pull my socks up and get on with it, and this is what I’ll whip up for an Easter brunch – a ham and broccoli quiche. It’s traditional, it’s classic and it just might be the ticket to put me in a spring-like mood. I love quiche. It’s a lot like a pizza to me. It can easily handle a lot of variations, lots of different combinations. And if you take the cheater’s way out (as I often do) and use refrigerated pie dough, it’s a snap to make. (Although I have gotten much better at making pastry, I’m proud to say.) 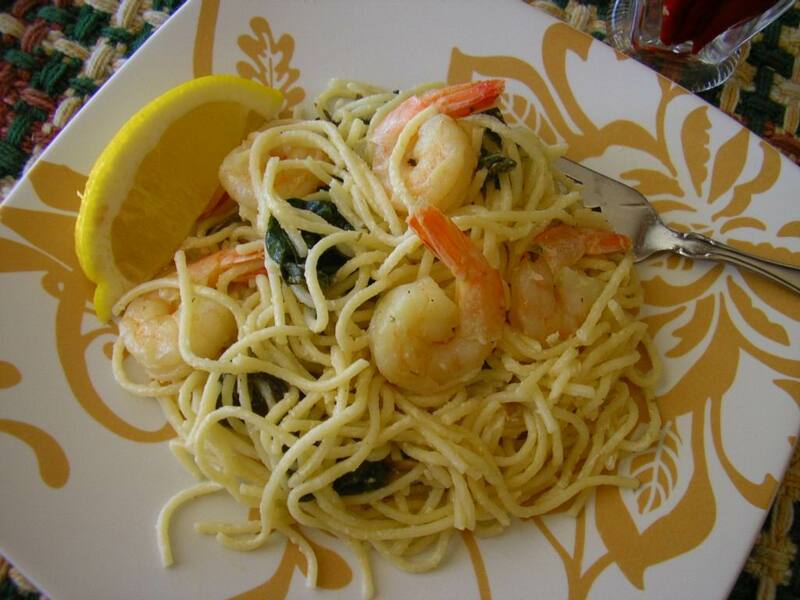 And since you can serve it warm or at room temperature, it’s a perfect company dish. Once I hosted a baby shower for a friend and the menu was quiche, fruit salad and cheesecake. My daughter (the same one who gave me the $^#&*# cold) helped me with the quiche assembly line. We made eight quiches, four different kinds: Ham and broccoli, bacon and onion, spinach and shrimp, asparagus and ham, all with a healthy helping of cheese. First we placed a layer of shredded cheese in the pastry–lined pans, then the meat and vegetable filling, then more cheese, then poured the custard up to the edge of the pie. (Baking eight pies at once was something I’d never done before and convinced me that catering was not for me.) Everything went off without a hitch and everyone wanted to sample every quiche. Only crumbs left in the pans. I follow the basic formula for quiche I started using years ago from a cookbook I bought from a New Hampshire restaurant called Peter Christian’s that is now defunct. I liked it because it was just a formula rather than a follow-by-the-letter recipe. I also liked the addition of sherry to the custard. 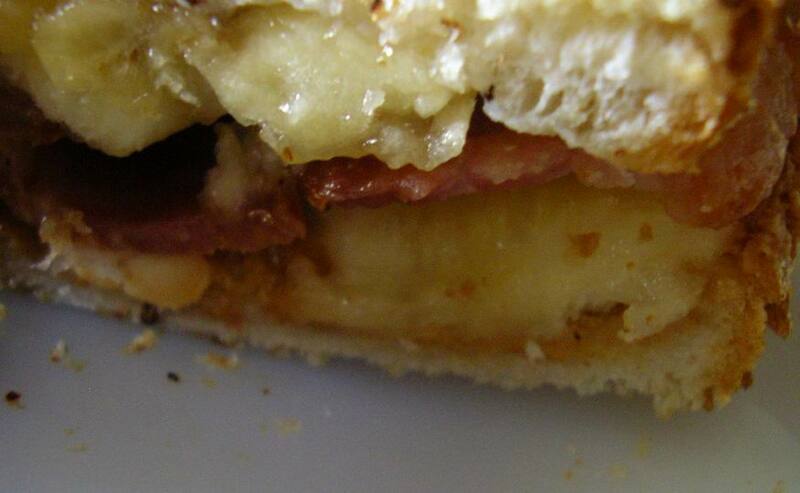 The only things that are constant are the eggs, half-and-half, cheese and onions. And even those are variable to a degree. 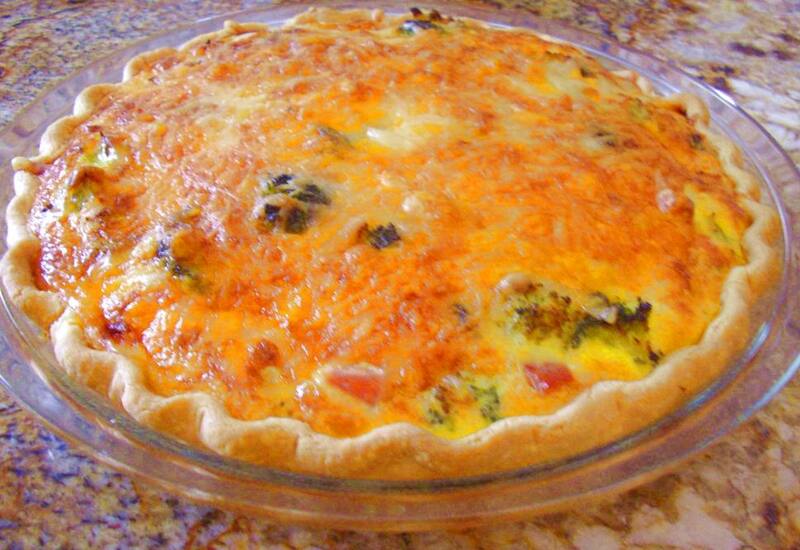 You can enrich the quiche with cream or using a variety of cheeses. So this as Easter-y as I’m getting this year. I really had the best intentions of making an Easter Pie. If the spirit moves me later this evening, maybe . . . just maybe . . . . . In the meantime, I hope you're in a sunnier place -- or at least a sunnier mood -- and have a blessed Easter with family and friends. • Preheat oven to 425 degrees Fahrenheit. • Place pastry in pie pan and flute edges any pretty way you like. • Sprinkle 1 cup of cheese and the scallions in the bottom of the crust. Cover the cheese and onions evenly with the veggies and/or meat of your choice. Then sprinkle the rest of the cheese over the veggie-meat mixture. • To make custard, combine the eggs, half-and-half, sherry and seasonings in a bowl with a whisk and blend well. 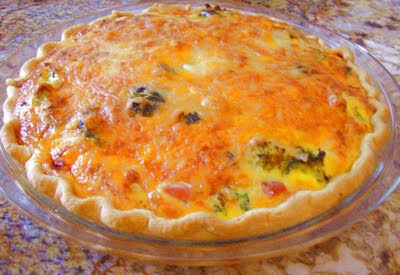 • Pour the custard over the cheese-veggie-meat mixture to within ¼ inch of the top of the crust. • Bake at 425 for ten minutes, then reduce the heat to 325 degrees and bake another 45 to 50 minutes until the top is golden brown and is slightly puffed. • Let cool at least 15 minutes before cutting. 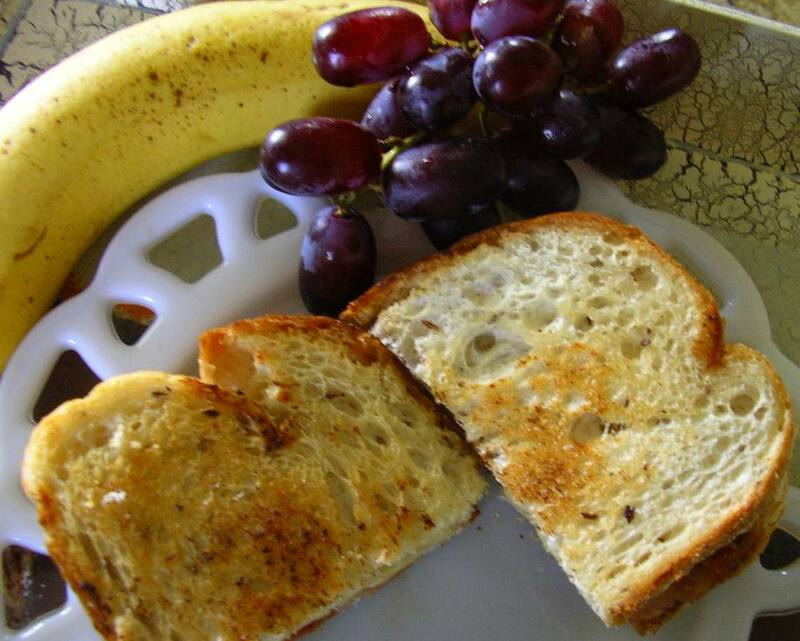 Serve either warm or at room temperature; refrigerate any leftovers if you have them.